ALBANY – At 7 in the morning Monday, after pulling an all-nighter doing budget bills, bleary-eyed members of the state Assembly were asked to consider one more measure. Resolution C243 was a last-minute addition to the agenda: authorization to give Gov. Andrew M. Cuomo a 40 percent pay raise over the next two years. The lights next to individual lawmakers' names on two large vote tally boards sitting high above the Assembly floor flashed red. The pay raise was rejected. But then everyone laughed and quickly re-cast their votes. Yes votes: 92. No: 46. The pay bump for the Democratic governor passed with no debate. Several hours earlier, the Senate – controlled, like the Assembly, by Democrats – voted to give the Democratic governor the pay raise. The governor’s salary, now at $179,000, will increase to $200,000, retroactive to Jan. 1. He’ll get another hike next year before it reaches $250,000 on Jan. 1, 2021. The higher compensation for Cuomo – as well as Lt. Gov. Kathy Hochul – comes after state lawmakers and top state agencies heads were awarded hikes following the binding recommendations last year by a state-created pay study commission. While lawmakers’ pay raises kicked in automatically in January, the pay panel said it would take an official act of the Legislature before Cuomo could get a raise. The vehicle: a resolution, which means the pay resolution automatically takes effect without the governor having to sign it, as he might with a piece of legislation. The cost of the raises is not a lot of money as a percentage of a $175.5 billion budget. But they were approved even as Cuomo has spent weeks talking about how this would have to be an austere budget year, that the state was facing a multi-billion budget hole and that tough spending choices would have to be made. It also came as many groups were disappointed over funding levels for their particular causes. Schools are pleased with their funding increases, but quickly said they fall short of needs. Groups concerned about New York getting an accurate count in next year’s federal Census say much more money is needed on outreach and education efforts. “Giving the governor a salary increase, while shortchanging the state’s direct care workers, demonstrates perfectly how dysfunctional this budget process was from the start to finish. There’s an endless number of items that could have been funded, but we saved the worst for last," said Assembly Minority Leader Brian Kolb, a Republican from Canandaigua. Groups seeking the cost of living adjustments in state aid – which have been denied eight of the past nine years – declined to publicly discuss the Legislature’s decision to give Cuomo a raise. 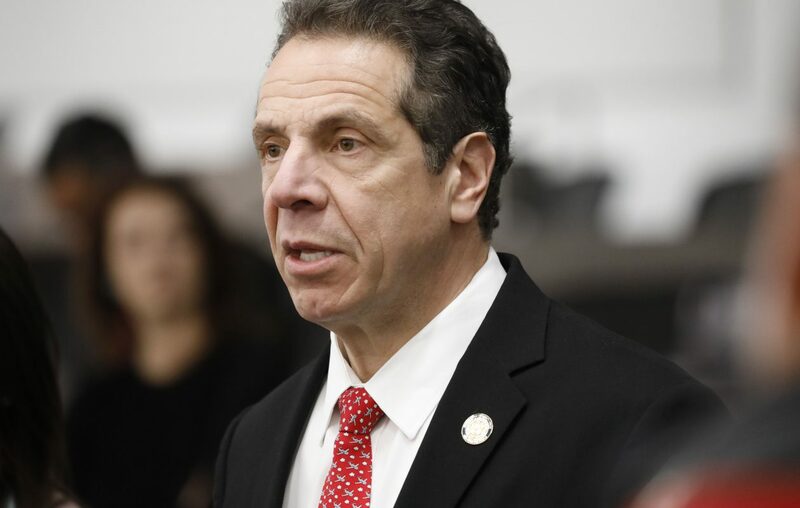 Cuomo last week was noncommittal on whether his salary should be hiked and said he had not talked to legislative leaders about raising his pay. “I didn’t take a position on it. I didn’t want to have a personal agenda in the discussion about pay raises, so I never took a position on myself," he told reporters Friday. The Cuomo administration did not have an immediate comment on Monday. Under the resolution approved by both houses, Hochul, an Erie County Democrat, will see her salary rise from $151,500 to $190,000 retroactively to January and then twice over the next two years to $220,000 by January 2021. Lawmakers, without a pay hike since 1999, also saw their base pay go up this year from $79,500 to $110,000 in January, rising to $130,000 in 2021. But there is a condition for the future year salary jumps for lawmakers: “fulfillment of their statutory and constitutional responsibilities,’’ according to the binding recommendations released last year by the state pay commission. So, does that mean the budget wasn’t adopted on time this year – it was seven hours late with final passage Monday morning by the Assembly – and lawmakers won’t get next year’s phase of the salary hike? For days, lawmakers in private have sounded not worried that a budget failing to pass by the precise start of the new fiscal year – April 1 – could mean the loss of next year’s pay hike. Some said if they started passing bills on March 31 and finished up Monday that the timeliness standard would be met. The first true test would be if state Comptroller Thomas DiNapoli, a former member of the Assembly, halted this week’s paychecks for lawmakers because the budget was not done on March 31. DiNapoli was also one of four members of the pay commission that set the new wage rates for lawmakers and Cuomo. On Monday morning, DiNapoli sent a letter to Cuomo certifying that the budget process is complete and that lawmakers will be paid on their regular payday on Wednesday – which would have been delayed if the budget was late. "The State Legislature has passed the 2019-20 state budget. The Office of the State Comptroller determined that the budget was sufficient for the ongoing operation and support of state government and local assistance. 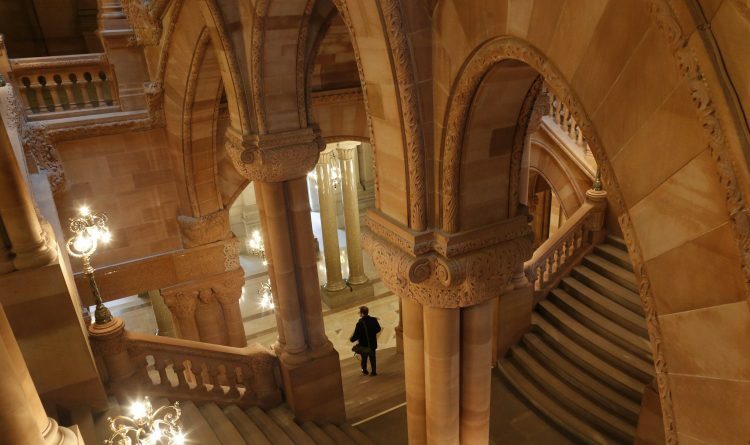 As a practical matter the budget was passed when the state opened for business on April 1," said Jennifer Freeman, DiNapoli’s communications director.